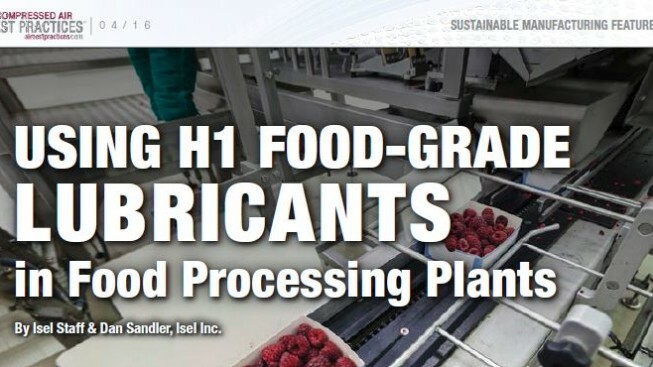 Compressed Air Best Practices® recently published an article written by Isel discussing the importance of utilizing synthetic food grade lubricants and the costs involved in contamination. By Dan Sandler, Isel Inc. Using H1 food-grade lubricants can help reduce the health and safety risks of a company’s food products. Isel has numerous H1 and NSF approved food grade lubricants. Please contact us to learn more.